Driven from a No. 1 Clockwork Motor but can be adapted to run off a PDU. 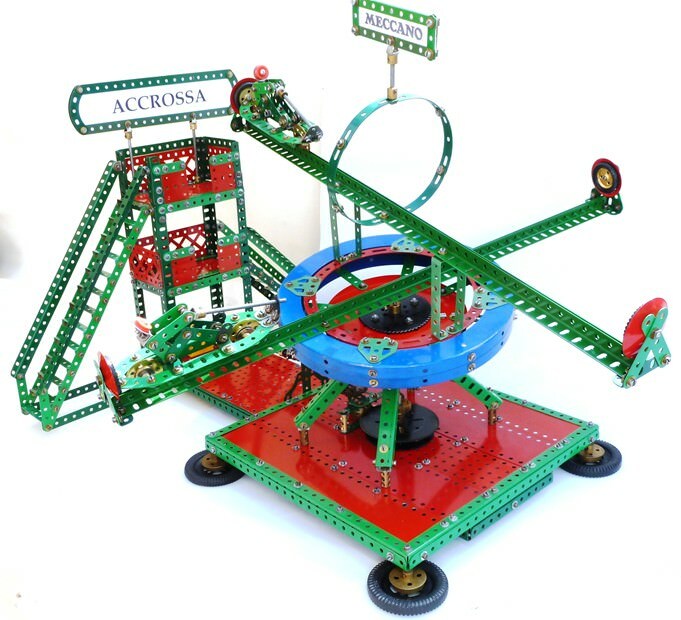 Two Meccano figures slide across on two crossed arms that tilt and rotate at the same time. The original model was built in yellow and zinc.